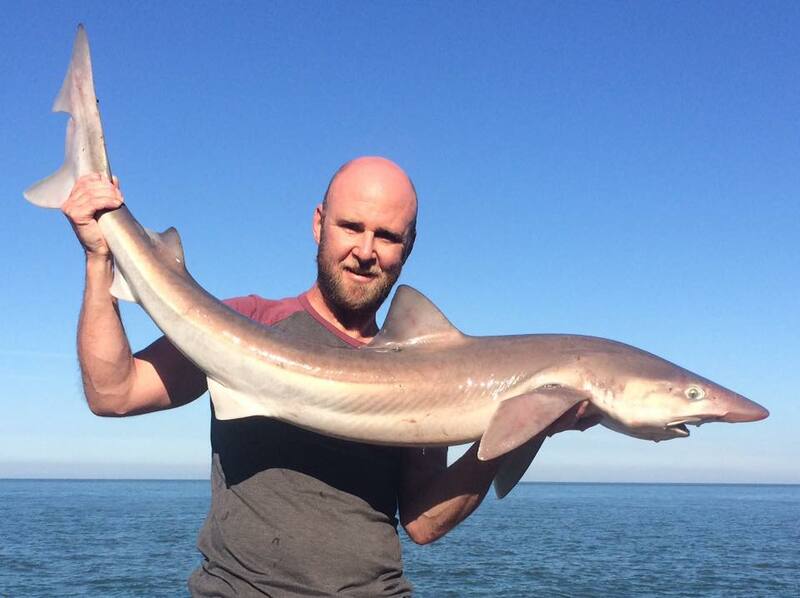 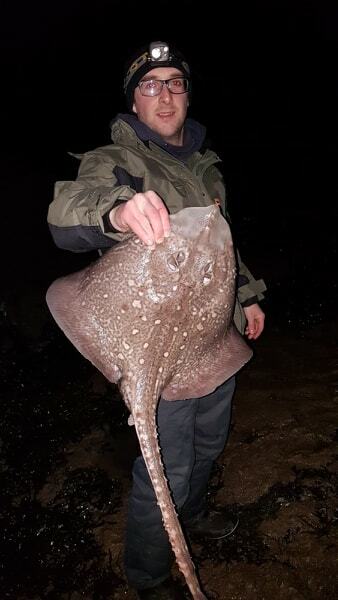 Combe Martin SAC Member Mark Jones landed a stunning brace of specimen fish during his latest shore fishing session. 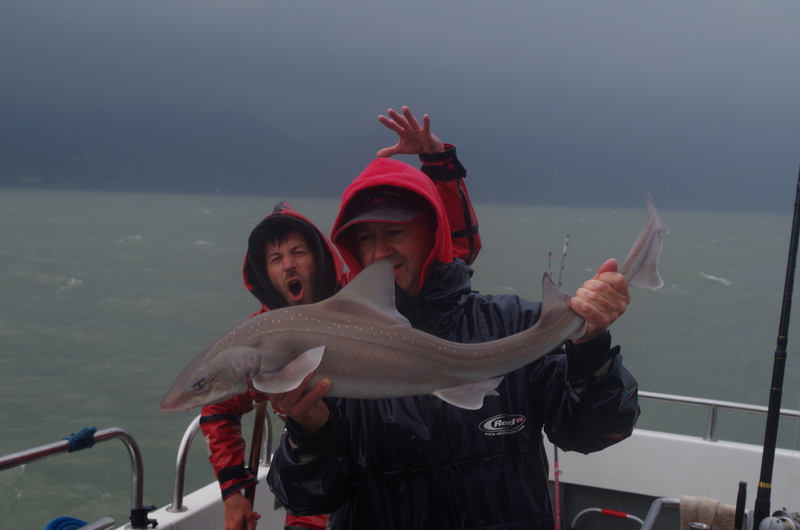 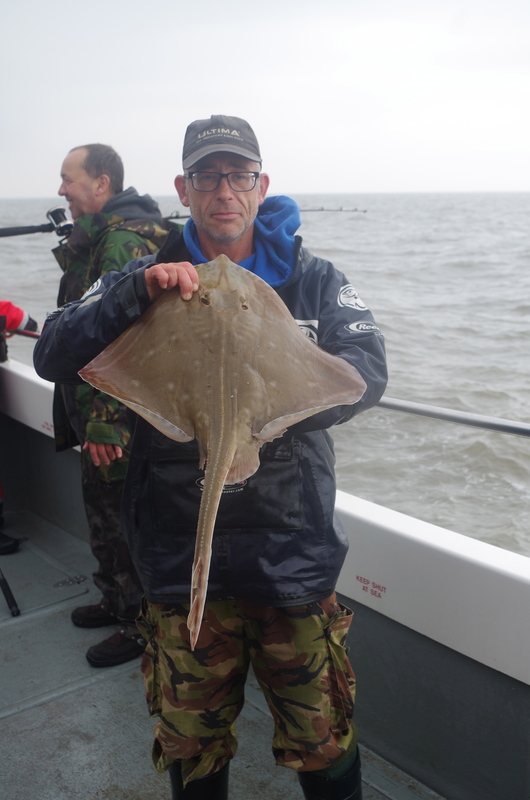 Mark landed a personal best small eyed ray of 13lb 2oz and followed it with a huge bull huss scaling 13lb 6oz. 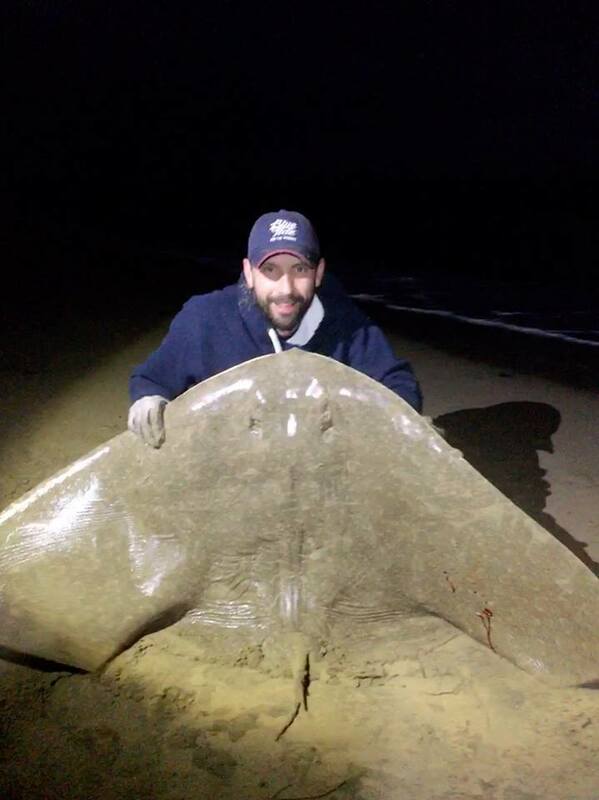 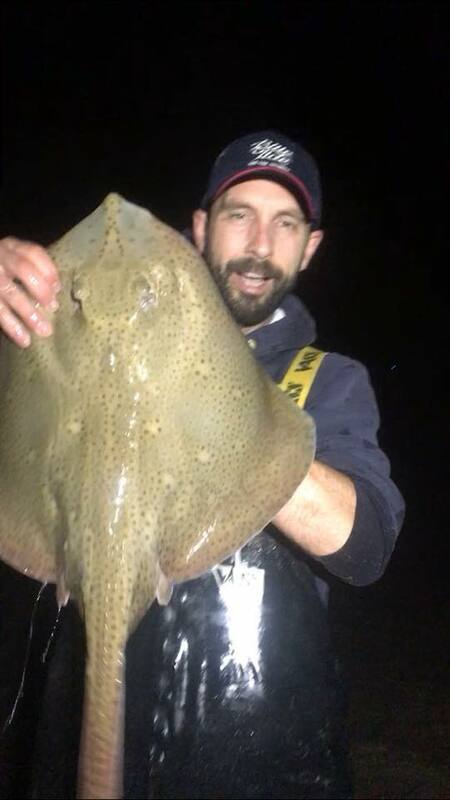 In addition to the big ray Mark also landed five smaller ray. 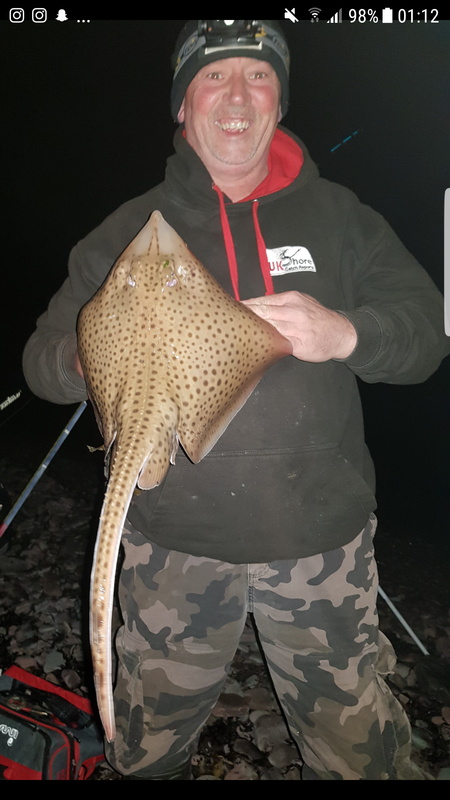 He was joined by Craig McCloughlin of Braunton baits who landed a brace of small eyed ray to around 9lb and a spotted ray. 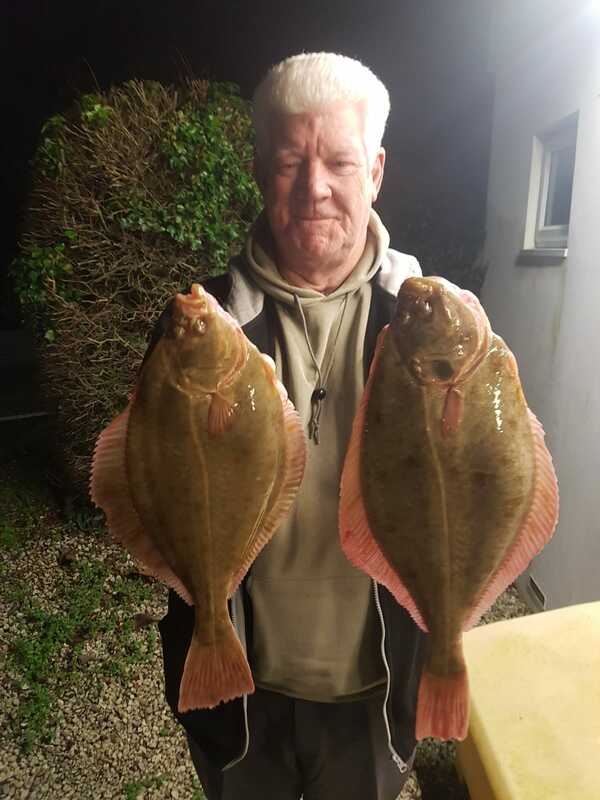 Graham Snow secured first and second in Appledore Shipbuilders January Winter League competition landing a brace of flounder scaling 1lb 155/8oz and 1lb 77/8oz. 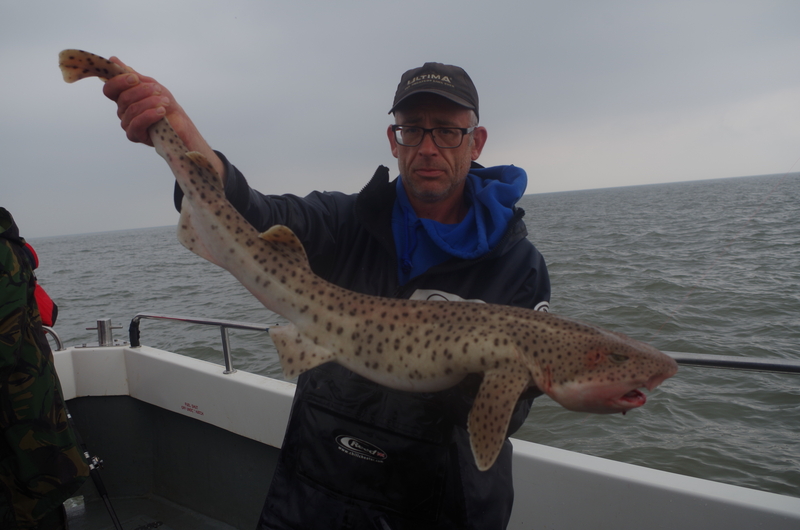 Third place went to Andrew Atkinson with a dogfish of 2lb 1oz. 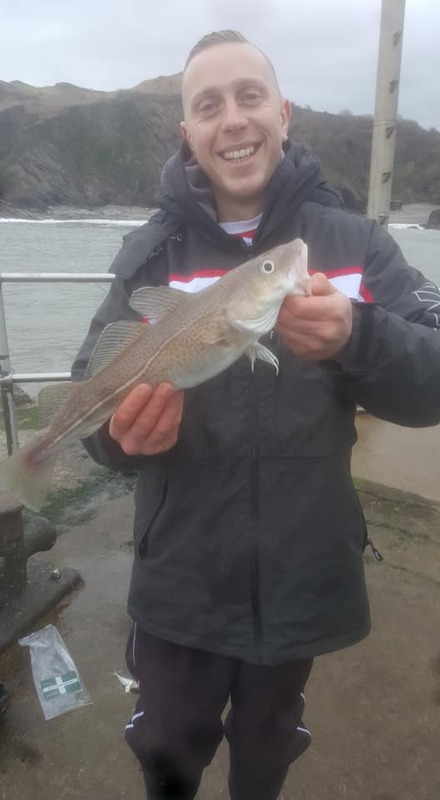 Combe Martin SAC member John Avery landed fine winter thick lipped mullet scaling 5lb 1oz. 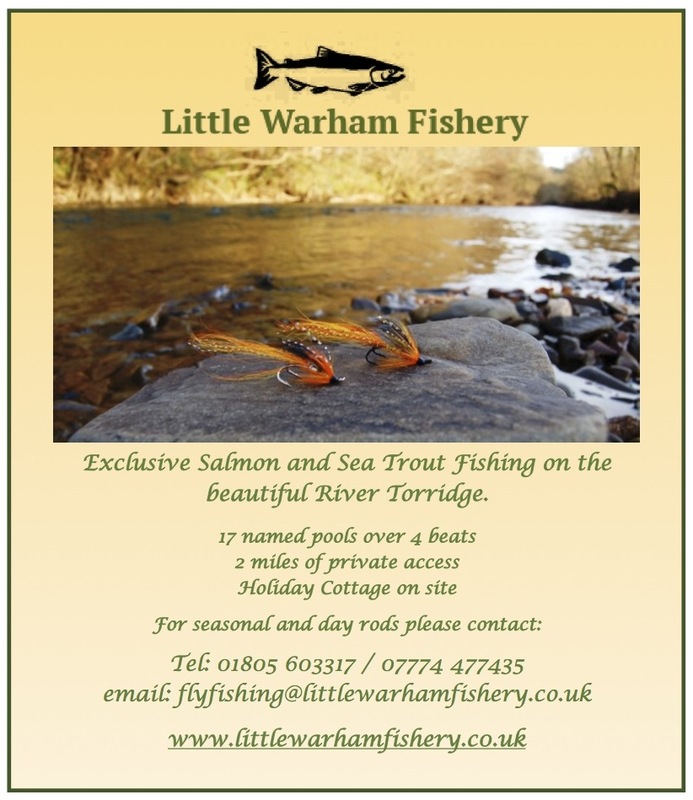 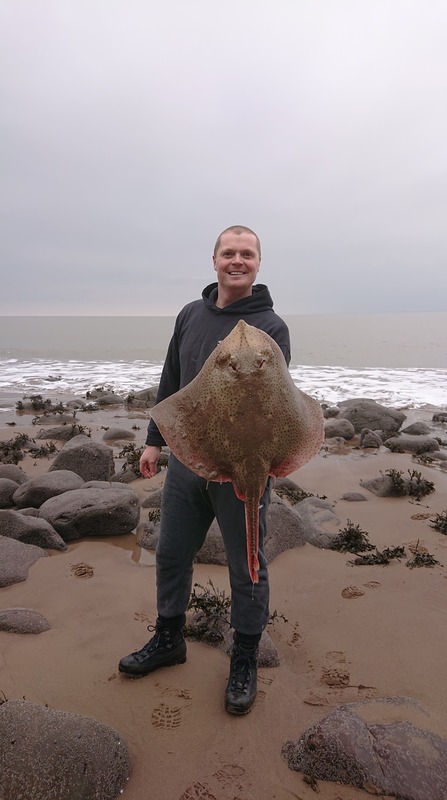 Prospects are excellent for the next few weeks with a wide variety of species to target. 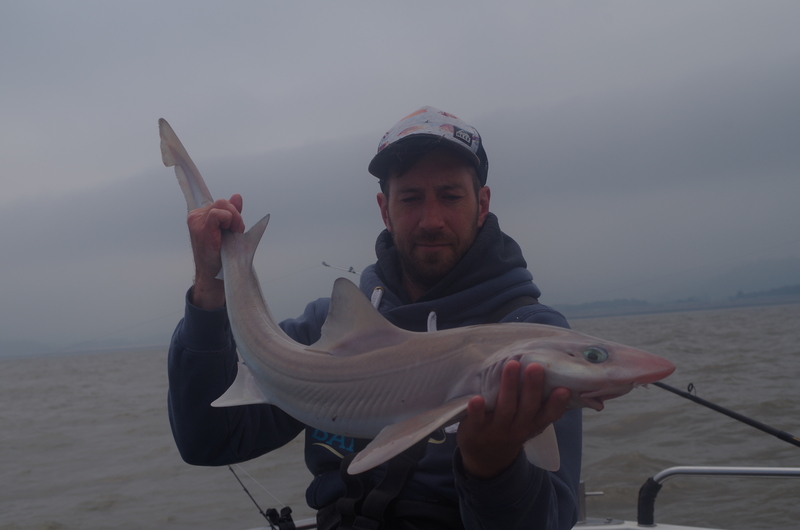 Bass, grey mullet and flounder should provide sport on lighter tackle with conger, tope and ray for those using heavier beach rods. 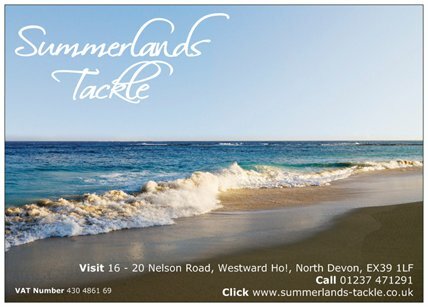 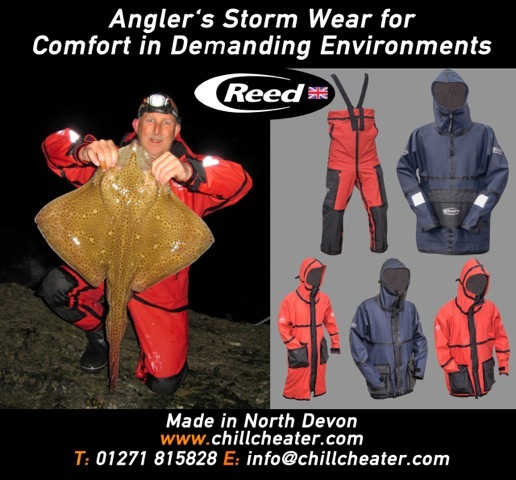 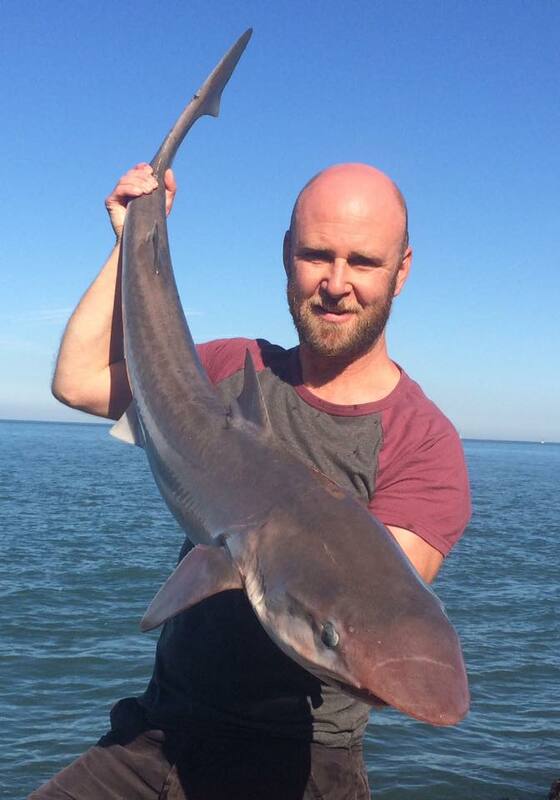 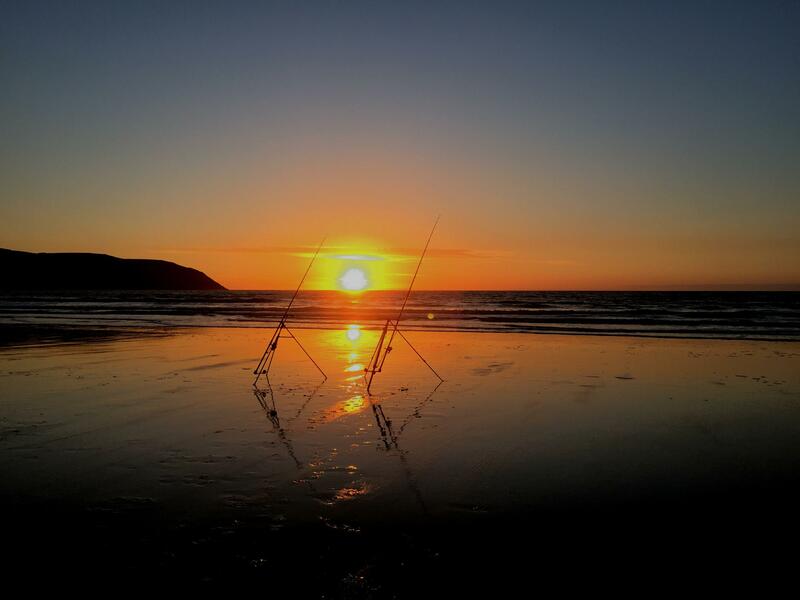 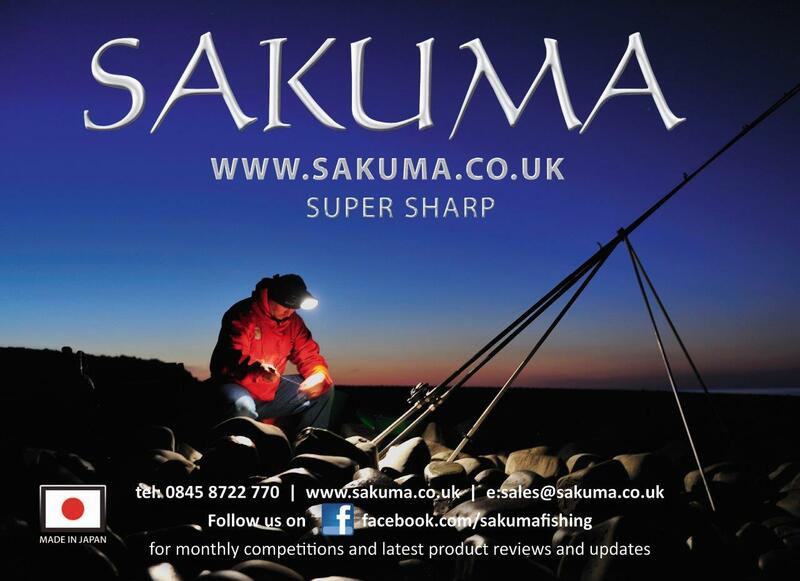 I welcome your news and pictures for North Devon Angling News and Sea Angling News. 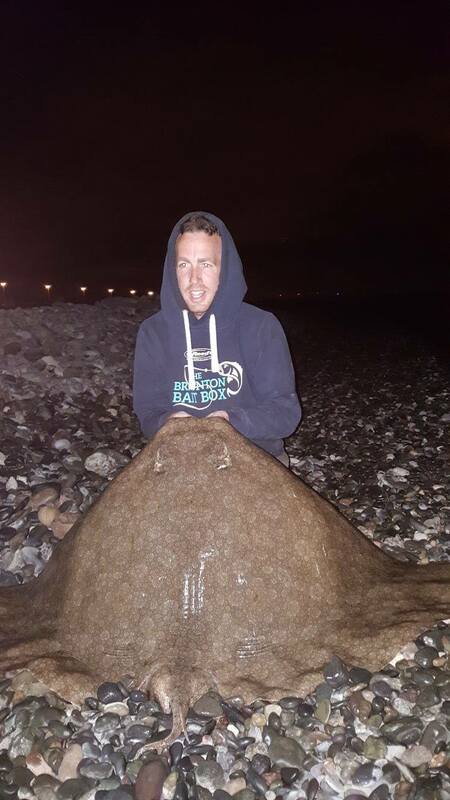 Ali Laird caught this hard fighting 24lb 8oz tope from a North Devon Rock mark it is his second of the year. 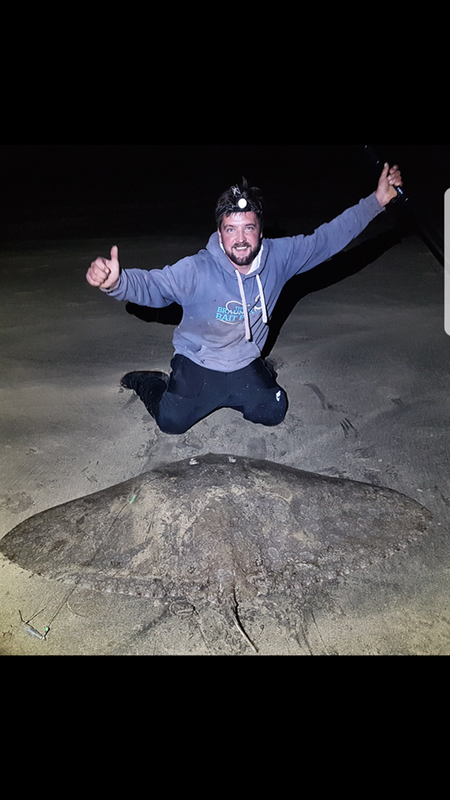 Ali lost another tope that picked up a spider-crab and squid cocktail chomping through 80lb mono! 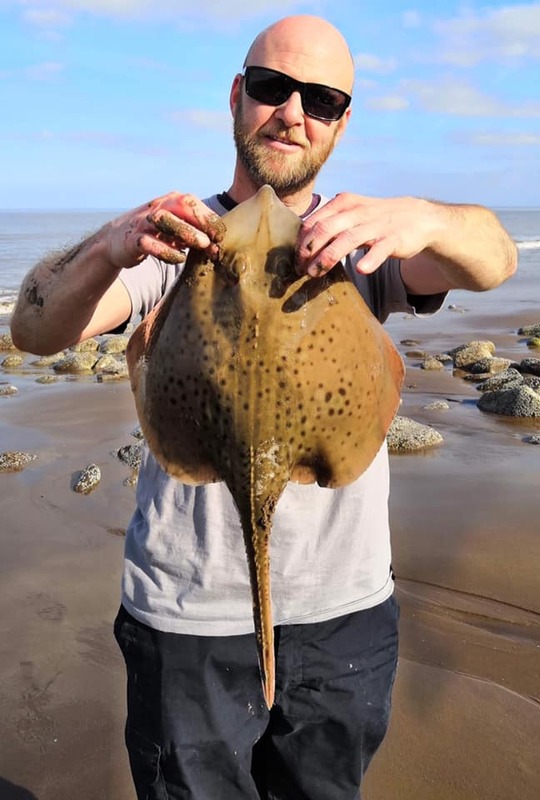 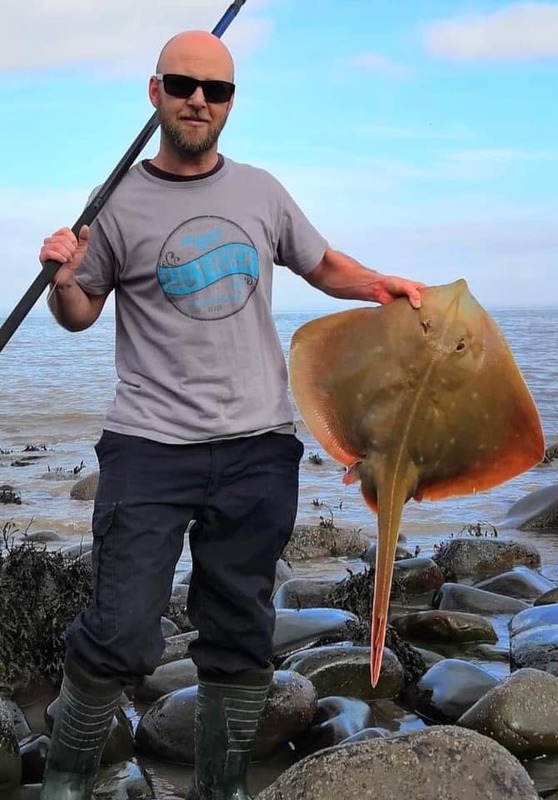 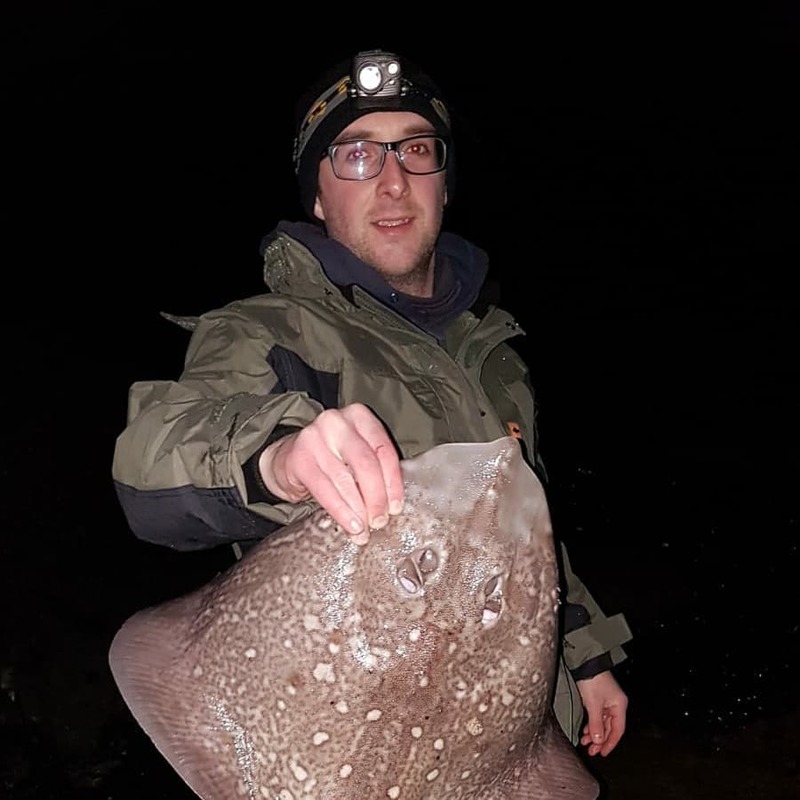 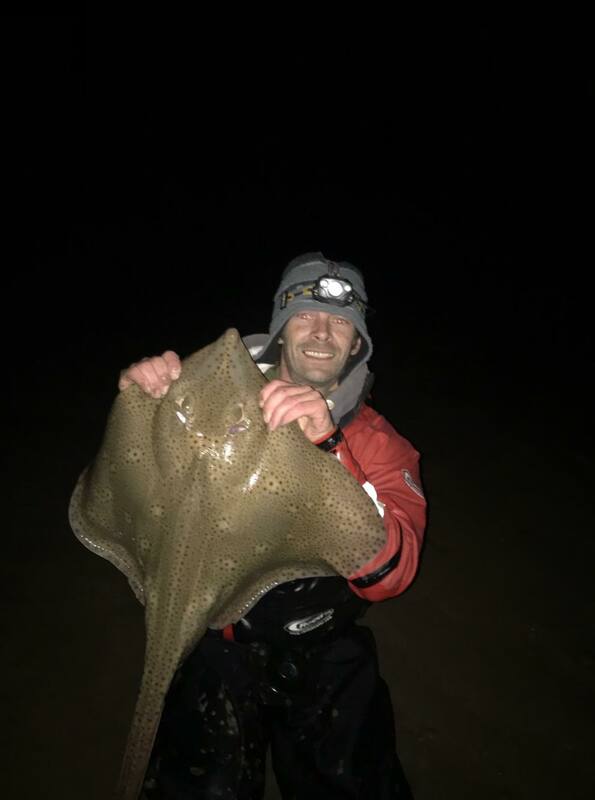 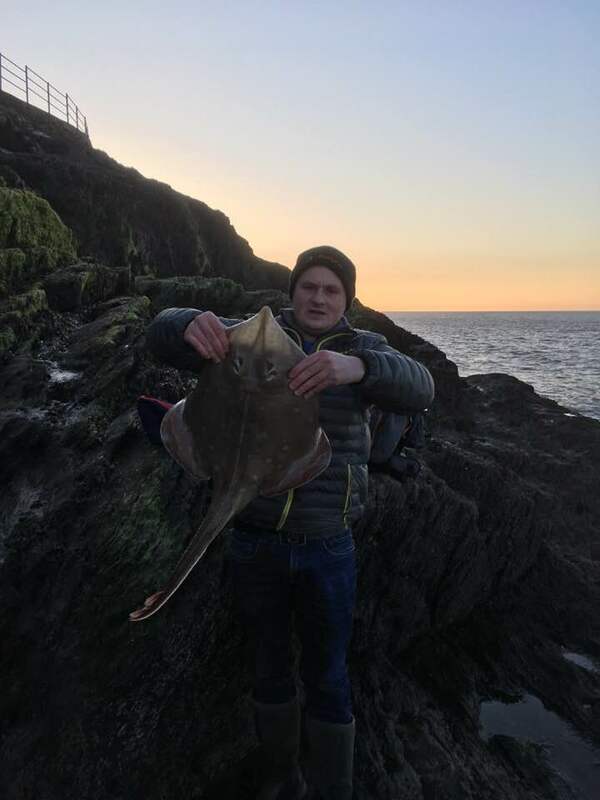 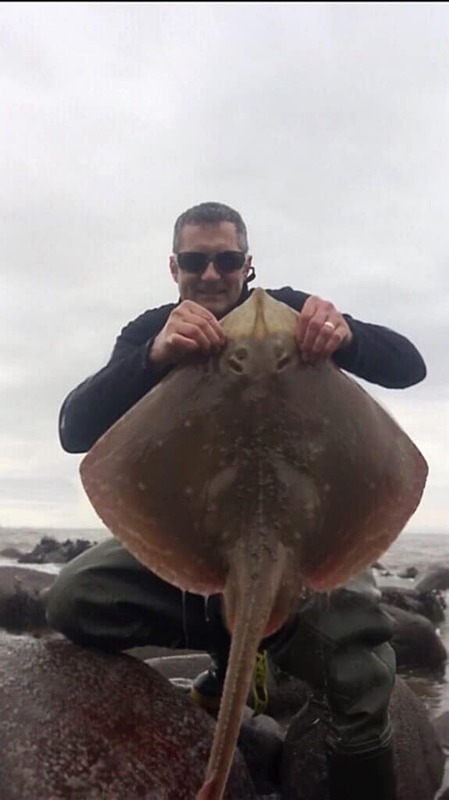 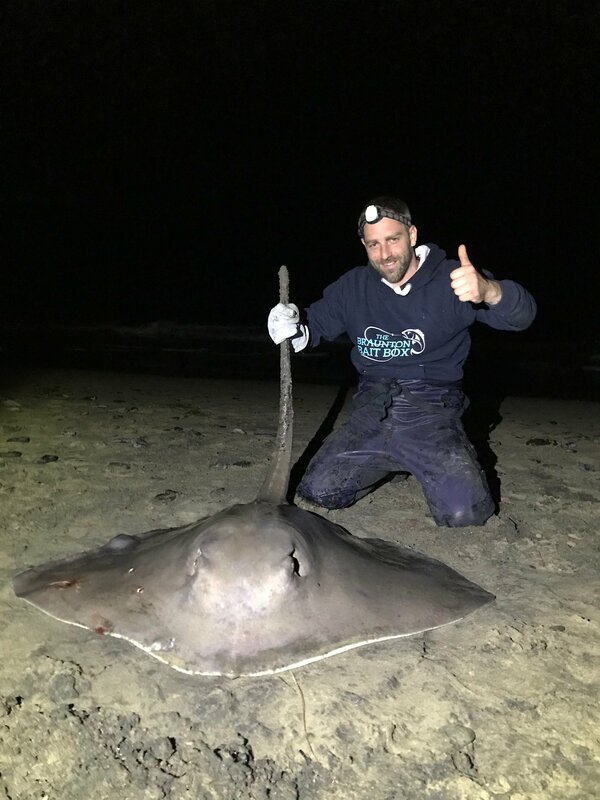 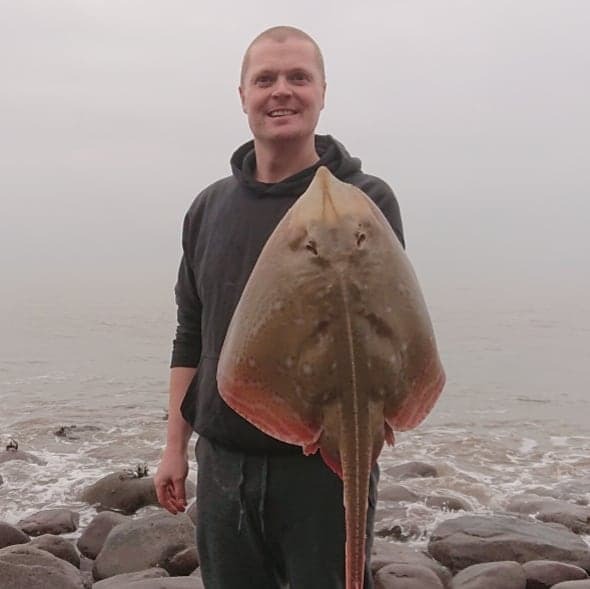 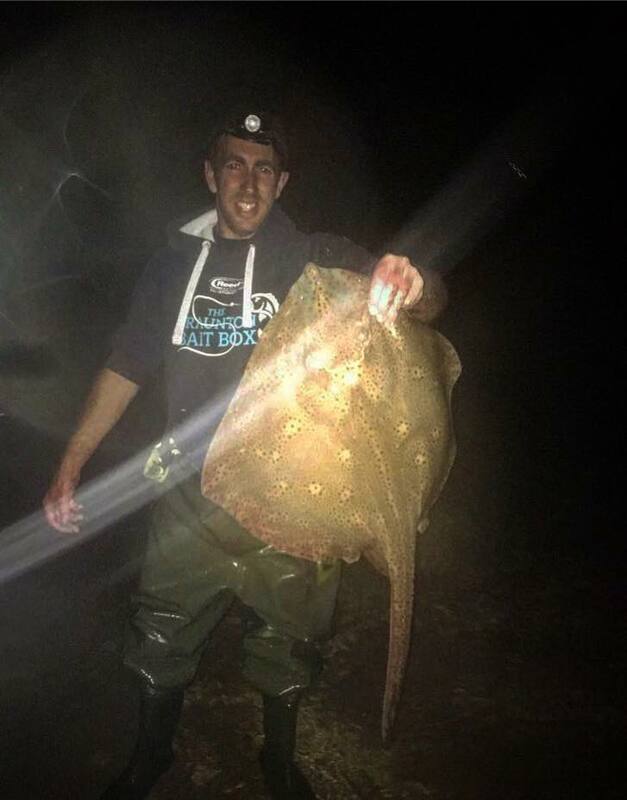 (Below)Dan MIles Redmore enjoyed a successful session on one of North Devon’s local beaches catching six small eyed ray to just over 7lb & a blonde 11lb 10oz. 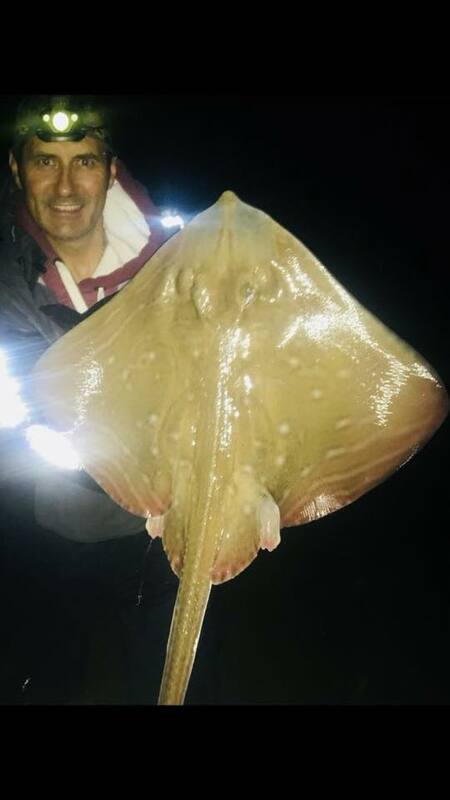 (Below) Ian Hooper and Nick Job set out in search of spotted ray and enjoyed success with Nick landing this pleasing ray of 2lb 8oz. 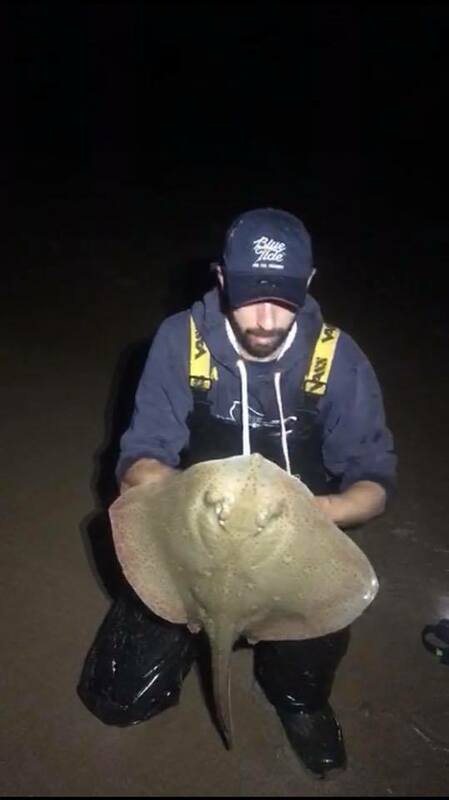 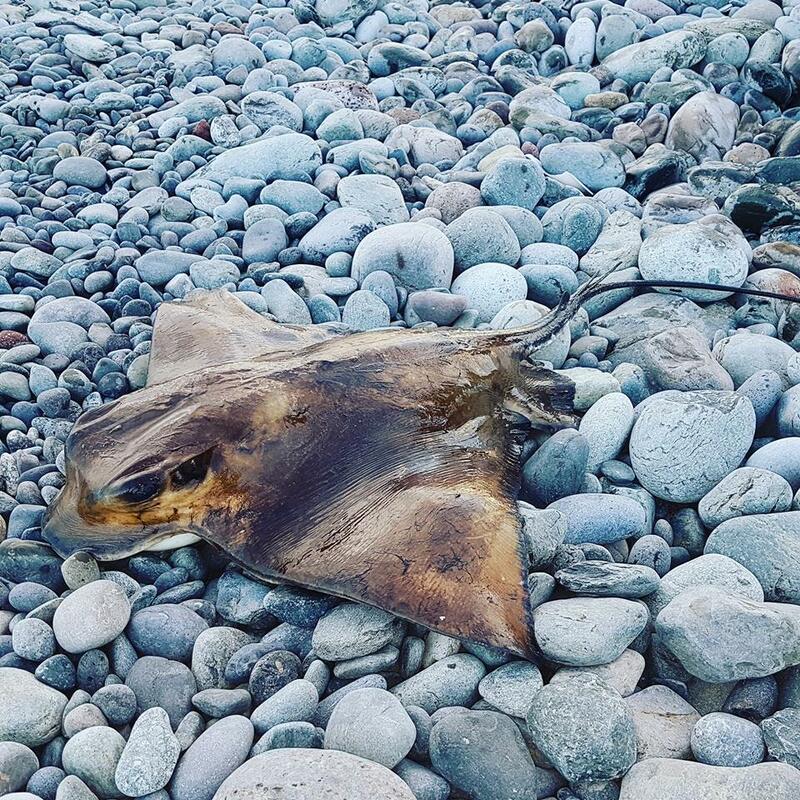 Twenty Seven ray from North Devon Beach! 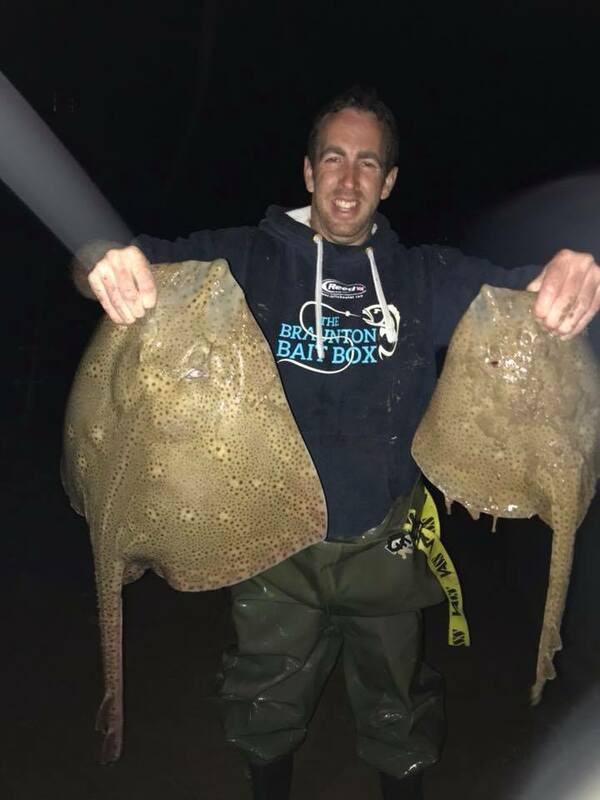 Craig McLoughlin who runs Braunton Baits enjoyed an action packed session at a local beach with his friends. 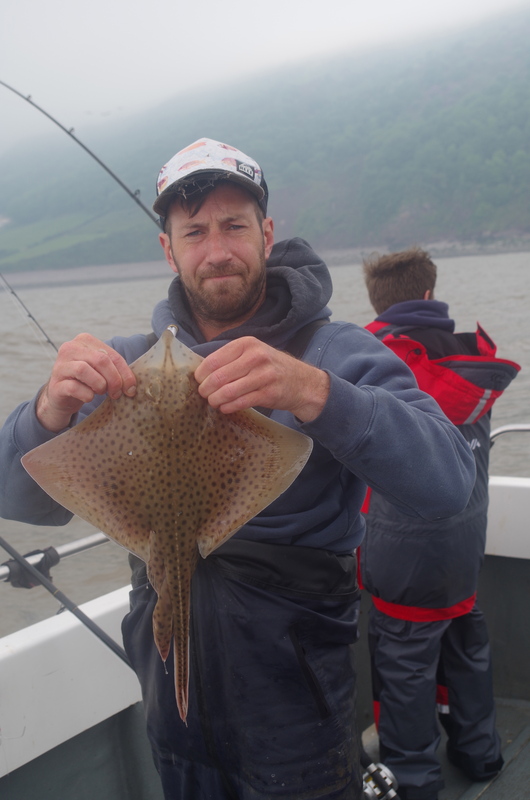 Between us we had over 27 ray all on the braunton bait box Sandeel. 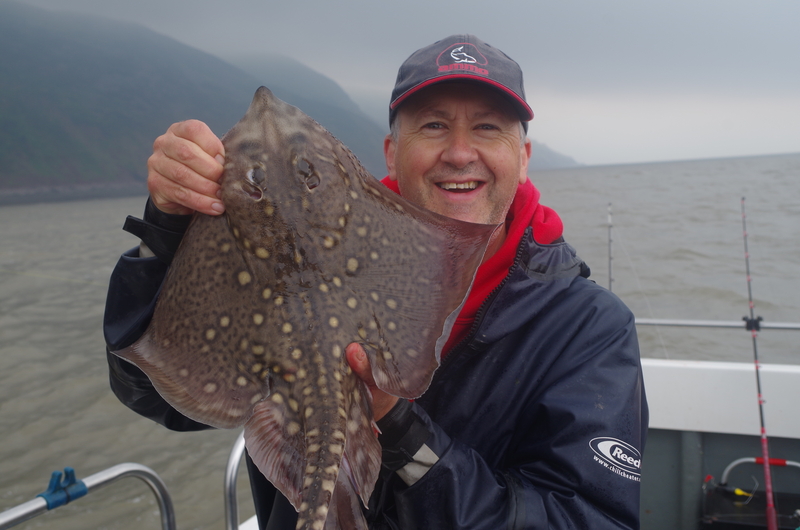 Six members of Combe Martin SAC enjoyed a boat trip off Minehead on board Osprey Skippered by Steve Webber. 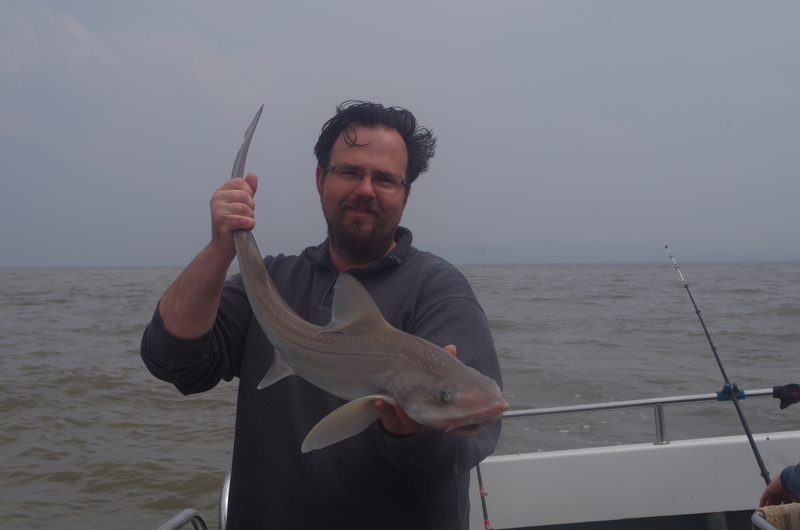 The day started off with a cool North East breeze that made for an uncomfortable lop on the water. 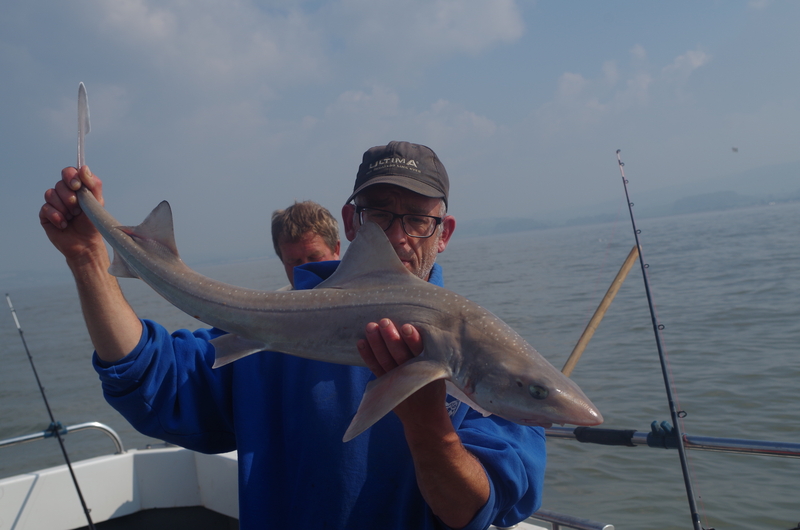 Despite this fish came steadily to the boat all day with smoothound the dominant species at our first mark in Porlock Bay. 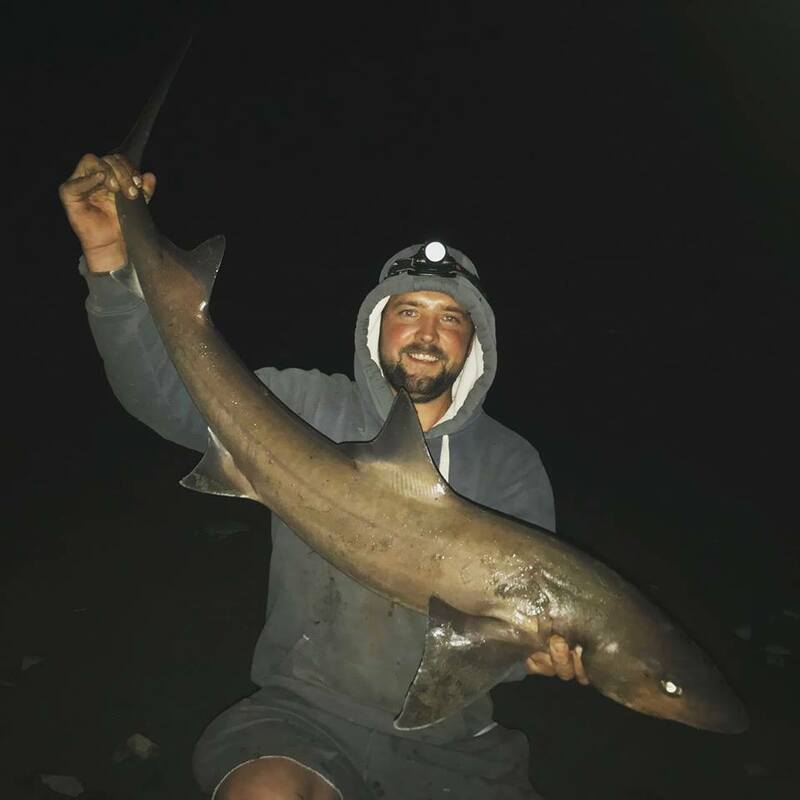 The biggest of the hounds was a low double. 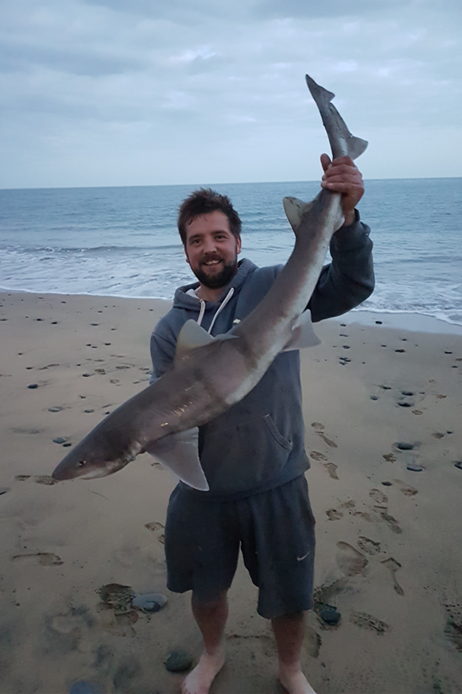 A range of baits worked for the hounds with crab, prawn and squid all tempting these hard fighting members of the shark family. 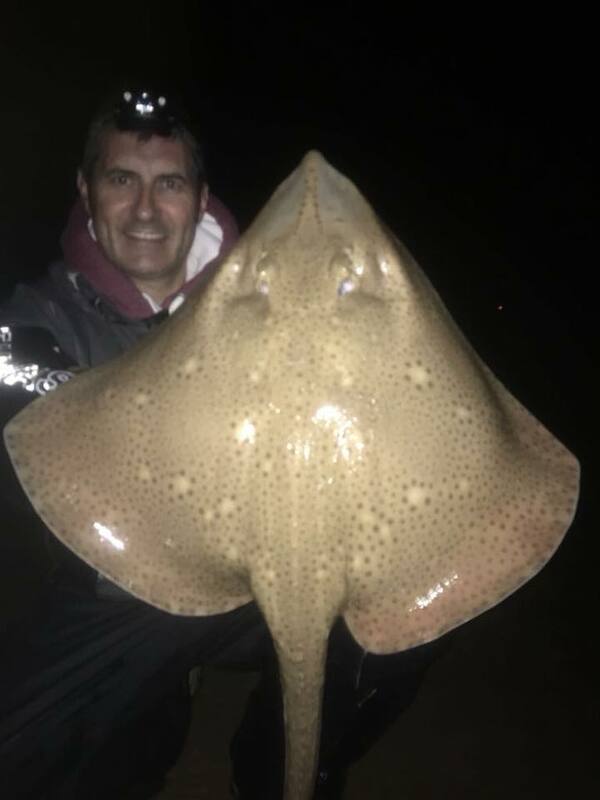 After a couple of hours targetting the hounds Steve suggested a move to the sandbanks to try for a few ray. 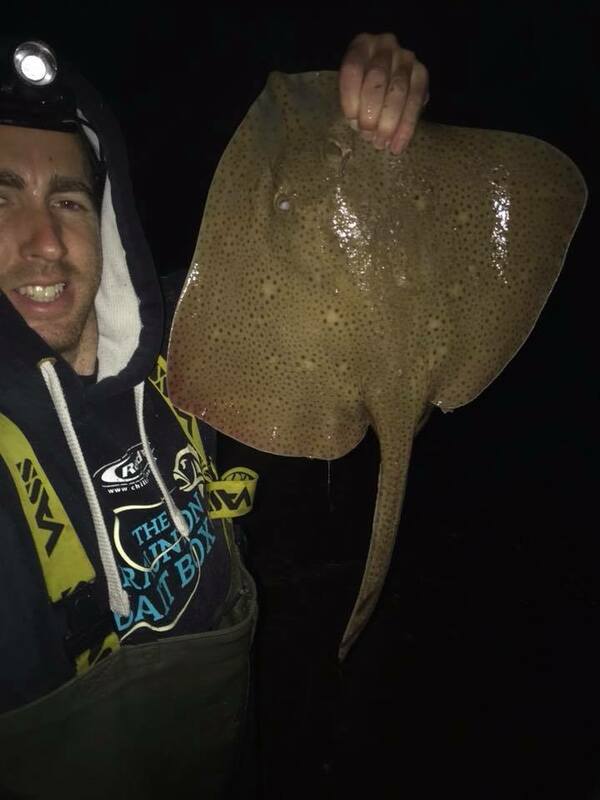 It wasn’t long at our new mark before we found a few ray with small- eyed ray, thornback and spotted ray finding our baits. 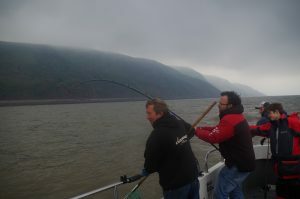 As the tide flooded we made a couple more moves before anchoring off Dunster to try for the hounds again. 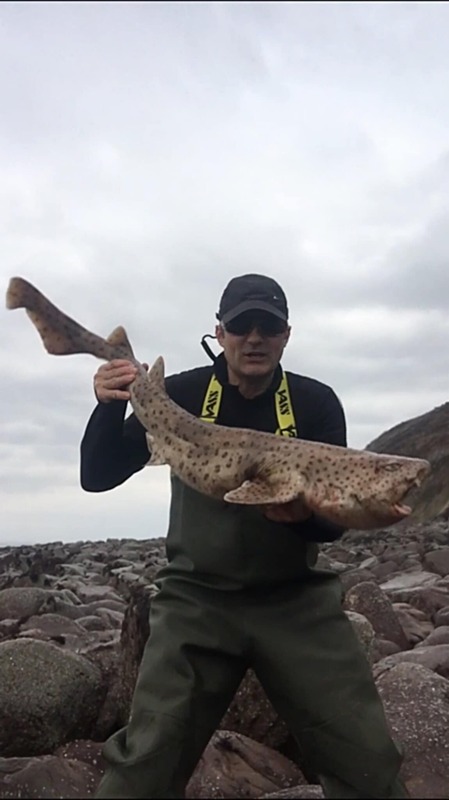 The hounds here in the murkier water were very light in colour and whilst not so numerous appeared to be a slightly bigger stamp of fish. 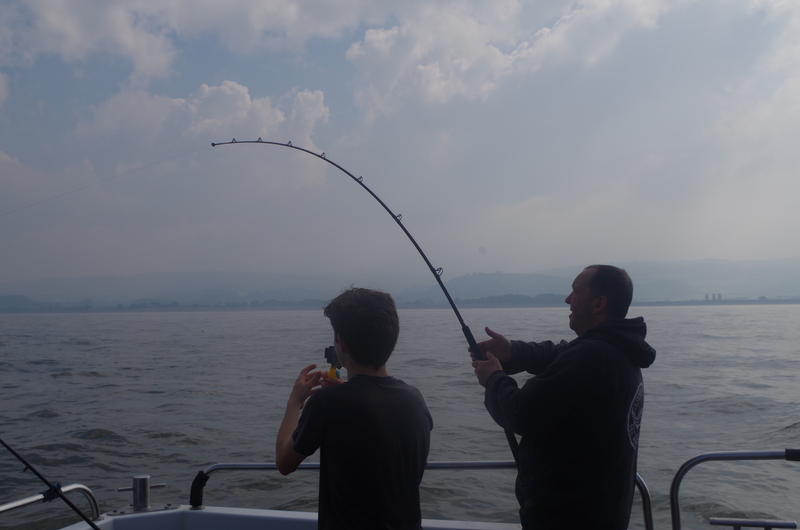 As the day started to drift towards its conclusion the sun eventually started to break through and enable us to peel off some of the layers. 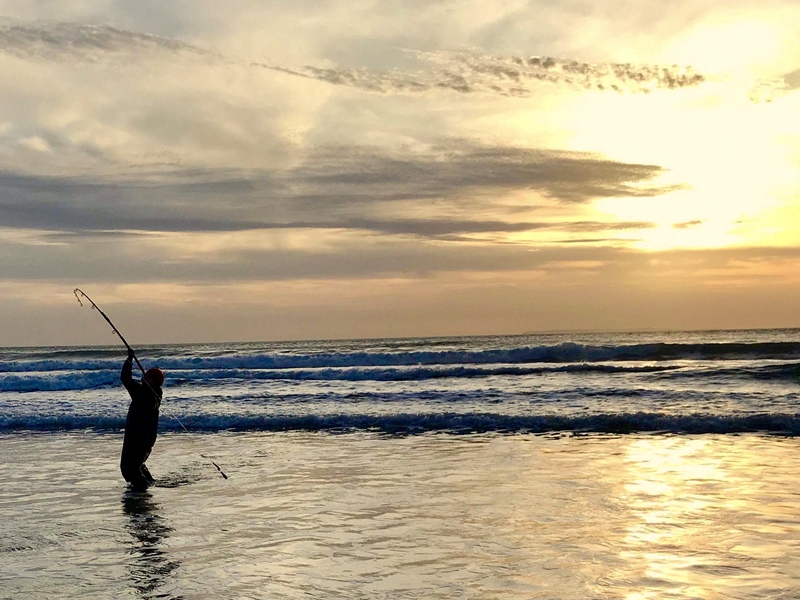 Nick and his son Jack were not up until now enjoying good sport and seemed to have a knack of finding the dogfish that punctuated every ones day as always. 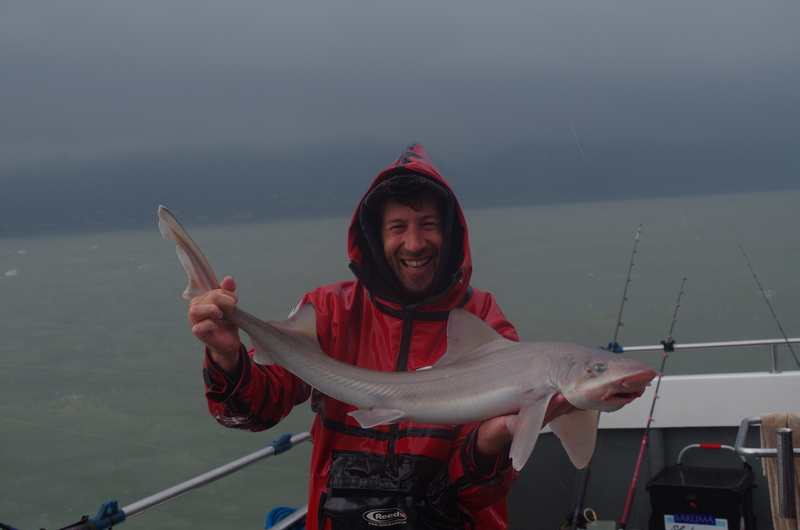 Fortunately persistence eventually paid off and something bigger nailed Nick’s bluey hook-bait. 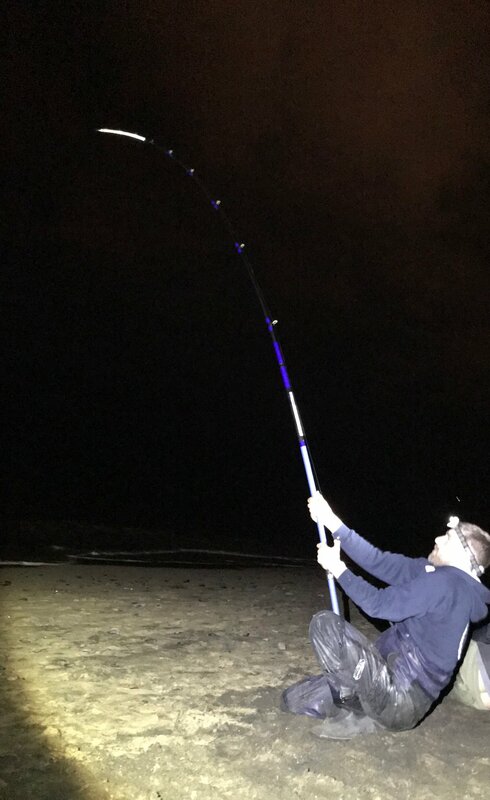 After several minutes of tension there was some disappointment when the hard fighting fish turned out to be conger of perhaps 10lb. 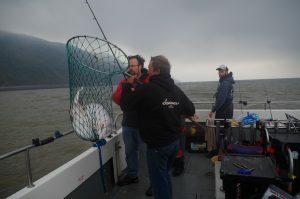 Everyone on the boat by now really wanted Jack to catch a decent fish and Steve baited Jack’s hook with a generously donated helping of peeler crab. 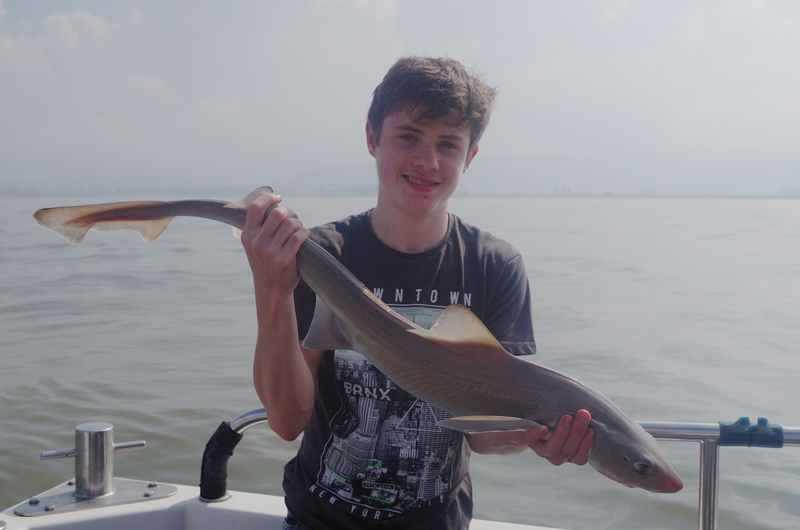 After a few minutes Jacks rod was bouncing on the gunnels and at last Jack enjoyed a bending rod as a hound fought strongly before reaching the boat. 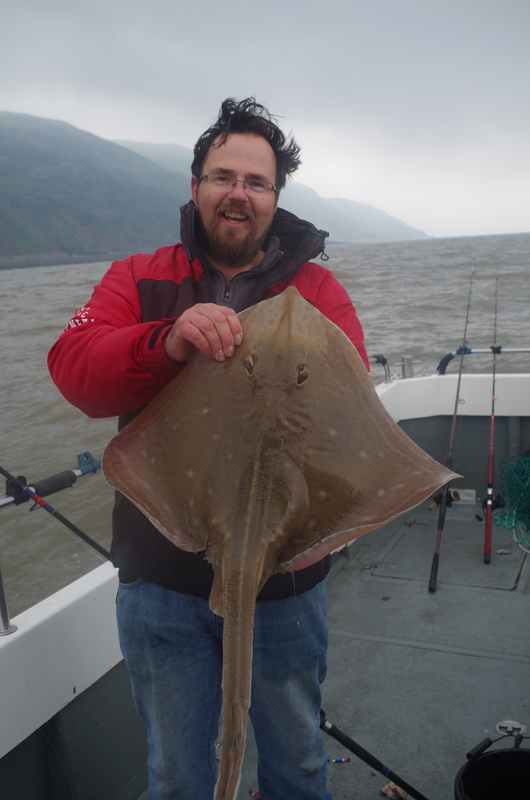 Shortly after this it was time to head back to Minehead with its tourists crabbing down the harbour wall and devouring ice creams in the hot sun. 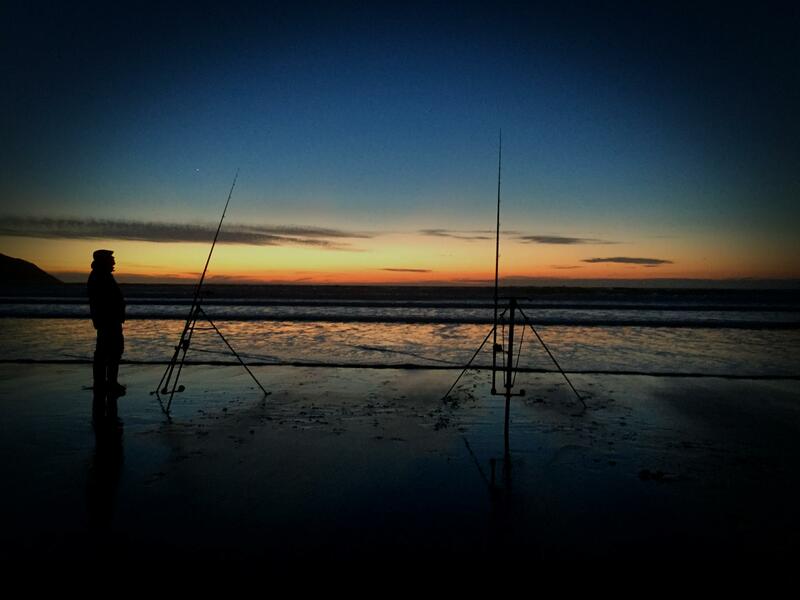 We couldn’t help but wish it had been this calm and still all day. 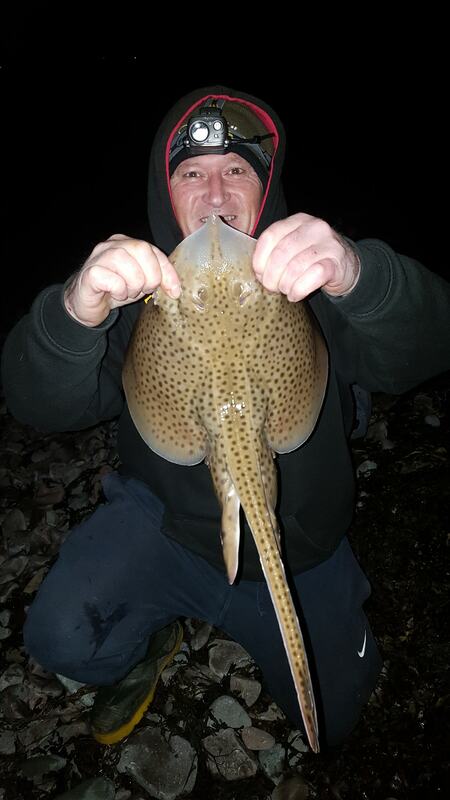 We ended the day with a flourish as several hounds came to the boat with John Shapland having an uncanny knack of finding the hounds. 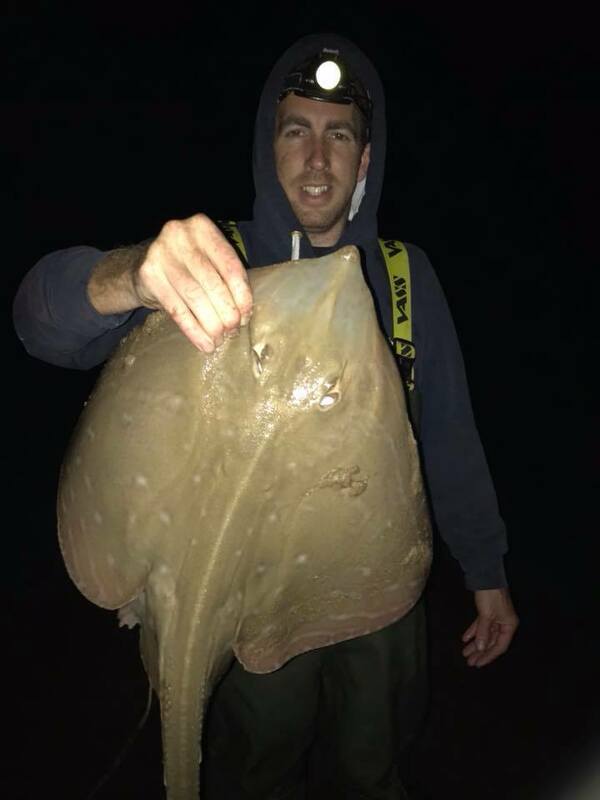 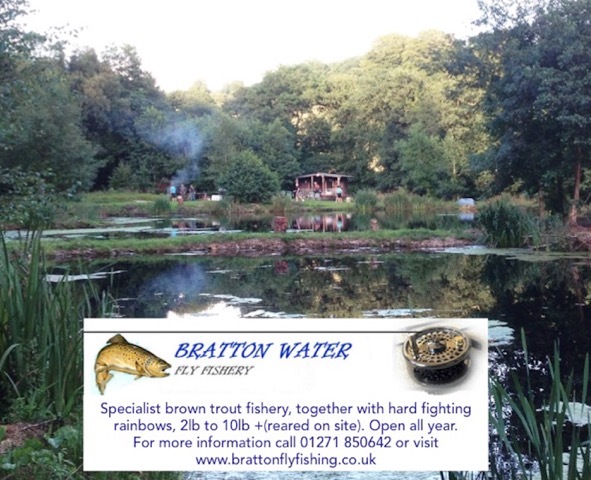 Craig McCloughlin runs Braunton Baits and has just posted this report. 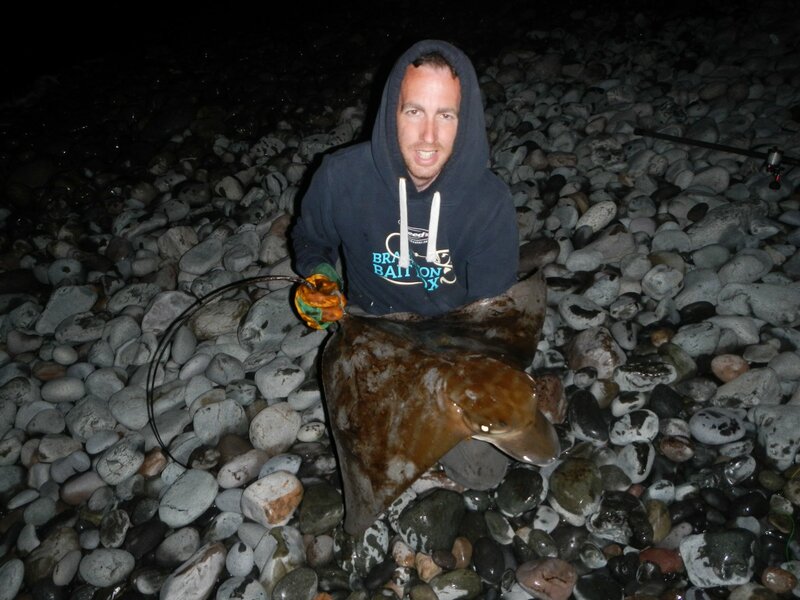 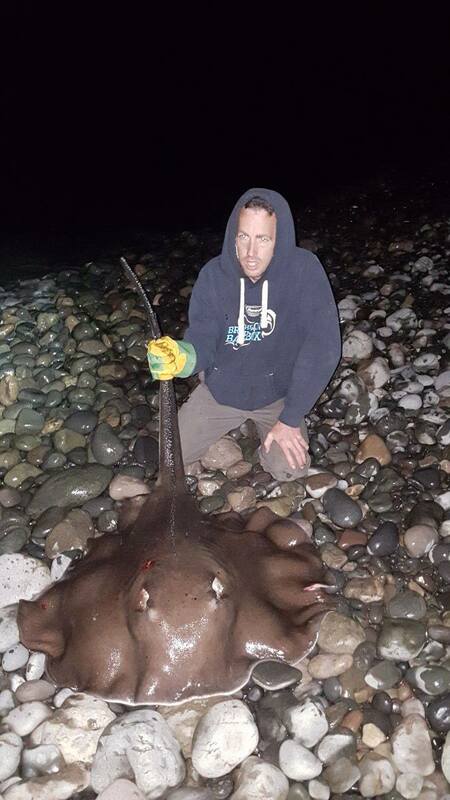 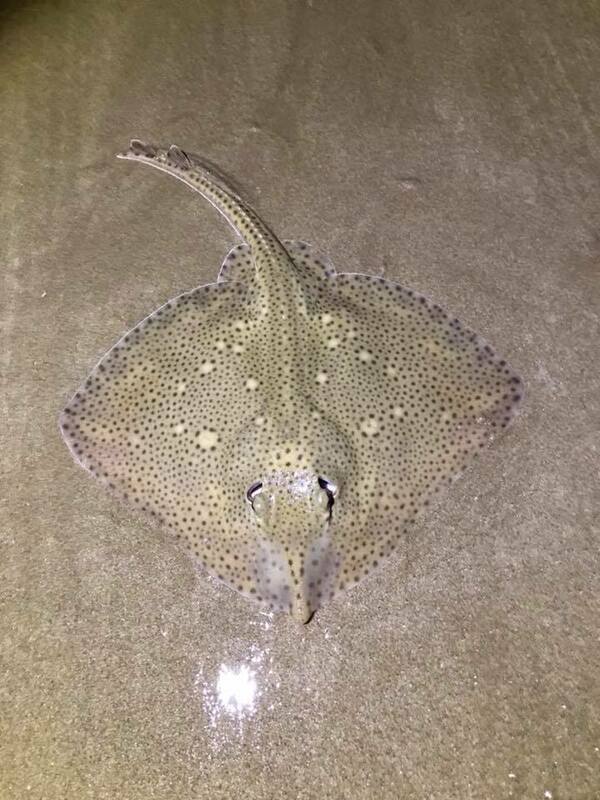 Just got back from another Braunton Bait Box / FishTrek stingray trip abroad. 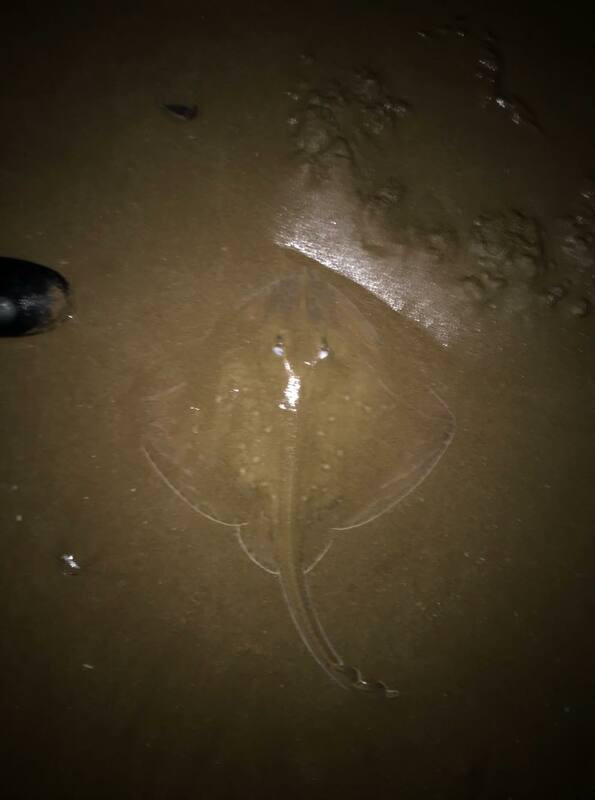 In Search of Spring Ray – Its always lucky to be there on a night like that!